Elon Musk’s SpaceX has gained accolades for its multiple successful launches of reusable rockets. Now, Indian Space Research Organisation (ISRO), wants to take this idea a step further and create the first rocket that has two reusable stages. According to a report from Times of India, ISRO is going to conduct advanced tests of this technology in June and July. For the recovery of the first stage, ISRO is going to follow SpaceX‘s method and land it on a pad situated in the sea. 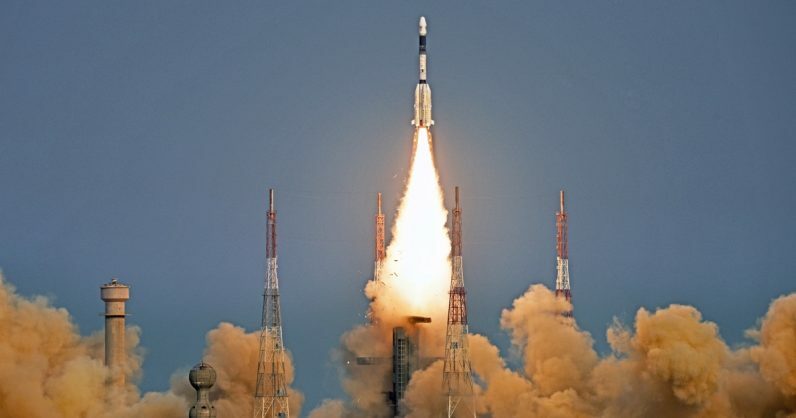 To recover the second stage, the Indian space agency will test an advanced version of it Reusable Launch Vehicle (RLV) – that was first tested successfully in 2016 – later this year. ISRO engineers will use computer controls to maneuver the RLV to land it on an airstrip and use it again later in another launch. We are developing a winged body like a space shuttle. This shuttle will be attached to as a second stage in the rocket. It will carry the top portion of the rocket comprising a satellite or spacecraft to space. Once it injects the satellite in its orbit, the shuttle will glide back to the earth and land on an airstrip like an aircraft. He added that the second stage recovery has never been tried by any other space agency in the world, not even SpaceX. For the advanced test to be held later this year, ISRO will use a helicopter to get the winged body to a certain height and drop it from there. The mission crew will then use computer controls to try to land the RLV on an airstrip likely to be built on Andaman-Nicobar islands. SpaceX is right now the biggest force for commercial rocket launches with reportedly about 65 percent market share, awhile ISRO isn’t even considered to be among the top five players. So if the Indian agency can develop the rocket with two reusable stages before SpaceX, they’ll potentially score a lot of clients for future launches. But ISRO is not the only one looking to develop this ingenious solution. SpaceX is also investing a ton of research into developing a two-stage reusable rocket. It’ll be interesting to keep an eye on this space race.